For a softer, rounded look cabochons are perfect. 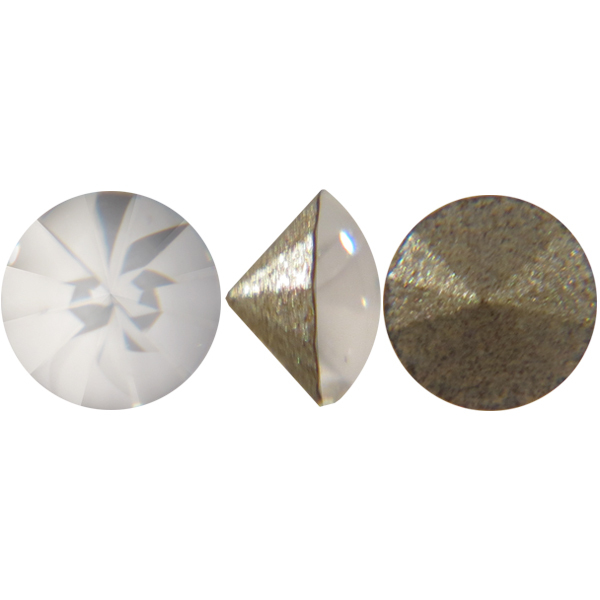 Find Swarovski cabochons in pointed back and flatback. German cabochons are also available for a vintage flair. For a softer coral color to place in your settings, these non faceted cabochons will provide brilliance without standing out too much. Flat Back German Cameos to be placed or attached to a piece to create a beautiful soft cabochon look. This Swarovski 1480 component is shaped like a chaton on the bottom, with facets that come to a point but the top is domed like a cabochon, which is smooth with no facets. Turquoise Cabochons. For anything you are trying to create with a jade to turquoise color, use these turquoise cabochons.